Interested in staying in continuous touch with your clients, even after they have purchased a home? 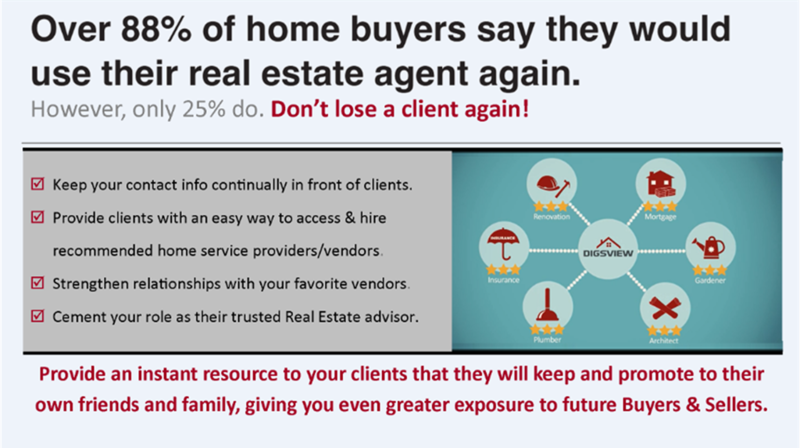 Cement your role as trusted advisor and retain clients by offering them access to the best home service professionals in your area. Searching for a handyman or painter to help with ongoing home maintenance projects? Android version of the app and get started. It will also enable you to add your own contacts and track favorites all in one place!